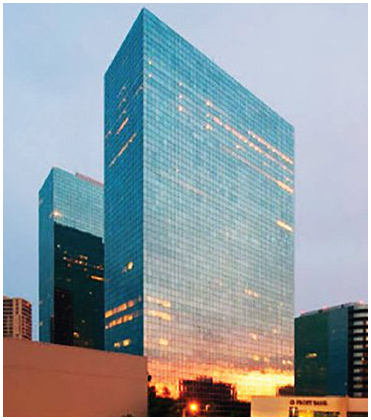 ​​​ ​HOUSTON – Briggs & Veselka Co. renewed its 48,390-sf lease at Nine Greenway Plaza on Houston’s near west side. In addition, the CPA firm signed a 24,195-sf expansion, effectively back-filling space that will be vacated by the end of 2017 by Hercules Offshore Inc.
“Briggs & Veselka Co. is at an exciting time in its life cycle. The incredible and improving amenities at the Greenway Plaza campus, combined with opportunities for future growth, made this option relatively simple,” said Briggs & Veselka Managing Shareholder John C. Flatowicz. ​Want more​ data? See ​Houston Office Market Research.